The festive season is fast upon us and if any mermaids are looking for ideas of what to ask Santa for, we have done some research for you! Gift ideas get more expensive as the days of Christmas progress! A nice little stocking filler that brightens up any outfit, bag or hat. or if badges aren’t your thing what about temporary tattoos. I (Manda) think these are so cute and could easily be worn where only seen when swimming.. but then that would be waste! 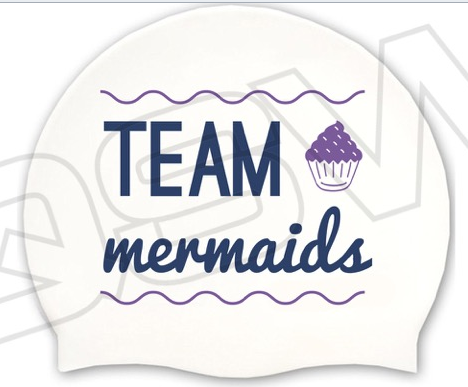 Now at Team Mermaids, despite our love of water, we are not all that keen on washing up but this tea towel is so cute we couldn’t resist. Post cold swim every mermaid needs a cup of tea and this tea pot makes every cup of tea taste better.. we hope! Dara Torres: Age is just a number – Dara’s tale of making a coming back and competing at the Olympic Games aged 42 just two years after having had a baby. Lynn Cox: Swimming to Antarctica – Lynn’s extraordinary story of her cold water swimming adventures culminating in her swim across the Bering Strait at the high of the cold war. It has to be the Team googles – Zoggs predator Flexes. You can never have too many pairs. Team Mermaids have never been able to justify the cost of these special light reactive pair (which go from clear to tinted depending on the level of sunlight) but it is Christmas after all! Mermaids need to keep wrapped up warm when they are not in the water and what could be more perfect that this scarf with swimmers on! Sticking with accessories and out of the water clothing, Early Bird swimmers do some really nice gear and these tanks and t-shirts are perfect for swimmers. Also check out these t-shirts from lost lanes which are a fun alternative. Or if you are a little sadistic you might fancy this skirt. Mermaids need plenty of bags to carry their stuff around. If yours is looking a bit scruffy these are the perfect replacement. This is our favourite rucksack for lugging our kit around. Manda, Katie and Kate all have this one in different colours! 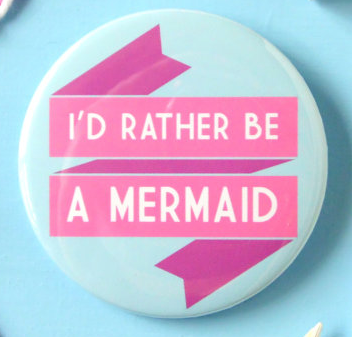 Team mermaids have been lusting after a Blue Seventy Sleeveless Helix. Hopefully Santa is feeling generous..
After our trip to Slovenia with Strel there was a lot of chat about this trip. Unfortunately due to various reasons none of us have made it out to the US for the trip. One day! Swimtrek used to do a trip to Finland, which sounded amazing but sadly they stopped before any of us (apart from Suz) made it on the trip. I (Manda) recently found this company who offer trips in Finland so something that I definitely want to do in the future. Let us know if you have any other Christmas ideas..until then Happy Holidays!